Tennis elbow can be debilitating. 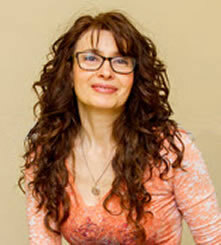 Get help with structurally balancing shiatsu! If you are troubled by tennis elbow, you may think that pain medication is the only way to control it. However, many people who come to us are surprised about the positive effects of shiatsu in treating tennis elbow pain–it can help you return to normal activity levels and do all the things you love again. Qualified and experienced shiatsu practitioners are available right here in Bucks County PA to help you relieve tennis elbow pain and restore normal function. What are the common symptoms of tennis elbow? This leads to weakness and inability to lift heavy objects, or to play sports requiring repetitive motions of the arm. What is causing your tennis elbow? 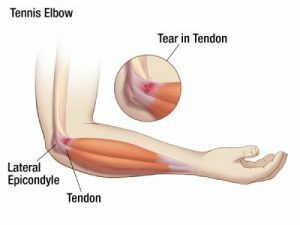 Tennis elbow (or’ lateral epicondylitis’ to give its technical term) is soreness in the outer region of the elbow, caused by chronic inflammation of the tendons that link the muscles of the forearms. This is usually due to overuse and repetition of the same strenuous motion in the arms–like when playing tennis, golf, or some other sports. However, these days it is just as likely to be caused by other repetitive motions such as using a mouse when working on a computer. Injuries and accidents can also cause pain in the elbow. Repetitive actions cause imbalances in the muscles and tendons in the forearm area, creating strain and resulting in pain. Balance needs to be restored in order to address the root cause of the pain, but most common medicinal approaches work on just the local pain with temporary results, or resort to surgical intervention. How can shiatsu help with tennis elbow? Many patients in the local Bucks County area have benefited from a combination of shiatsu, trigger points work, and Thai massage for tennis elbow treatment. Your shiatsu practitioner will not only work on your arms, but apply pressure to selective points in the body that affect the elbow region. This will clear blockages in the energy meridians and lead to better balancing in your entire body. You will also learn exercises and stretches that can help you deactivate the trigger points and help prevent your elbow pain from returning. Dietary advice and ergonomic suggestions from our practitioners will also help you relax, sleep better at night, and maintain continual progress between your shiatsu appointments. Shiatsu has become a critical part of many patients’ programs for tennis elbow pain. We welcome you to experience similar results.